As I walked home from school on Friday, I couldn’t help but notice all the garbage that littered the yard. I was astonished by the amount of garbage that had piled up so early in the school year. 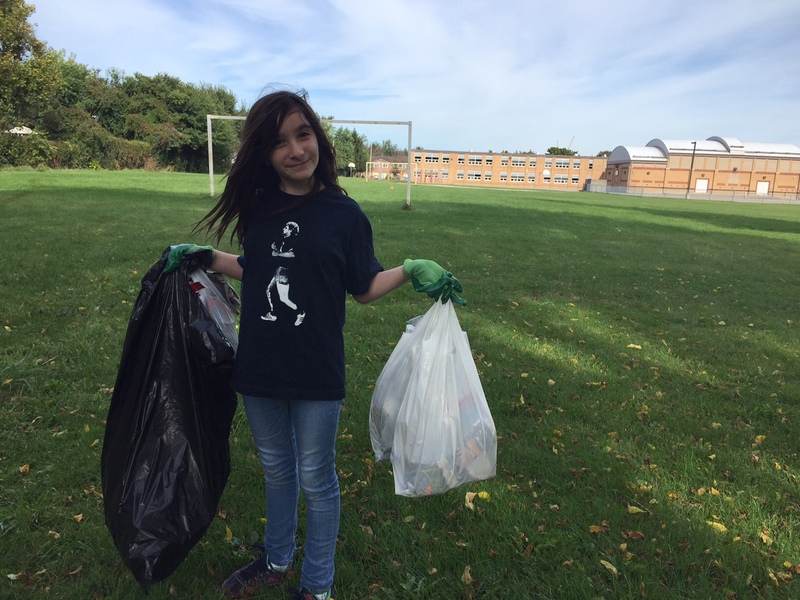 This afternoon, my parents and I put on some gloves, got some garbage bags and walked over to my school to clean up. I want to share a list of the top 10 things we picked up outside. Do these items sound familiar? This is the stuff that is in students’ lunches. It was a beautiful day today and while I was happy to be outside, I would have rather been riding my bike than cleaning up after people who aren’t taking care of their own trash. I always say little things add up to make a big difference. When people drop a wrapper on the ground they think, “Oh it’s fine. It’s just a tiny wrapper.” When a lot of people think this way every time they litter, it adds up. It adds up and and it makes a big difference and not in a good way. My school has 350 students in it, which is a pretty small school. We’re just 2 weeks into the school year and already there was already SO much garbage everywhere. This shows that every piece of litter adds up. Pack a litterless lunch! It’s so easy! Buy reusable water bottles and containers to take to school instead of plastic baggies and packaged stuff. Don’t leave your garbage outside! It’s that simple. It’s not good for the environment and no one wants to hang out in a yard full of trash. If you take food outside that has a wrapper, put the wrapper in your pocket if there isn’t a garbage can near you. This one is a no-brainer: You take the candy out of your pocket with a wrapper on it, you unwrap the candy, put the wrapper in your pocket and eat the candy. Easy. Remember, it all adds up. For better or for worse, it always adds up. Commendable act Hannah!! You inspire. 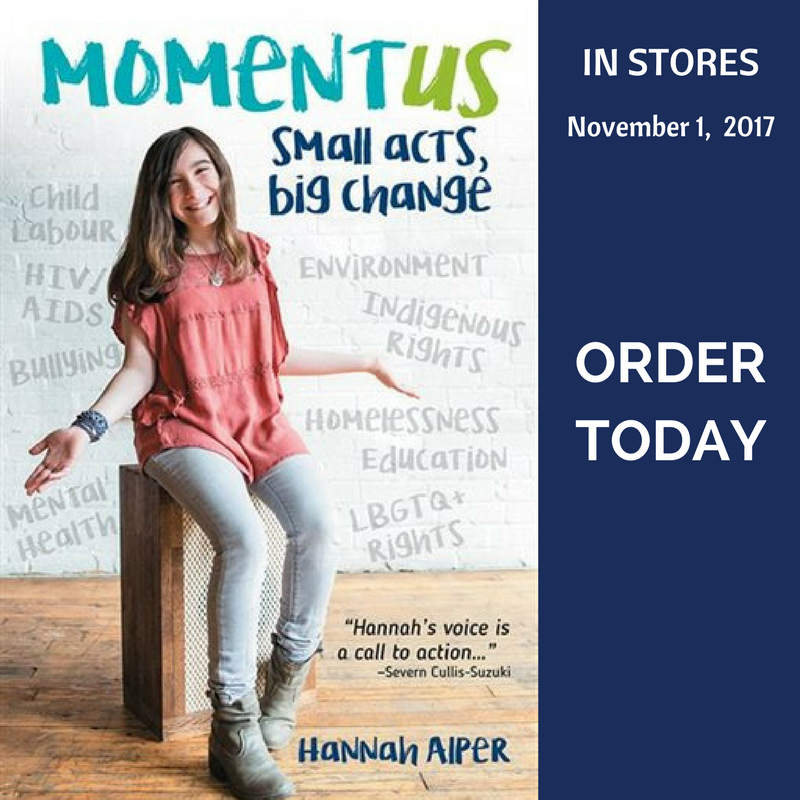 15-year-old activist, blogger, motivational speaker, and author.